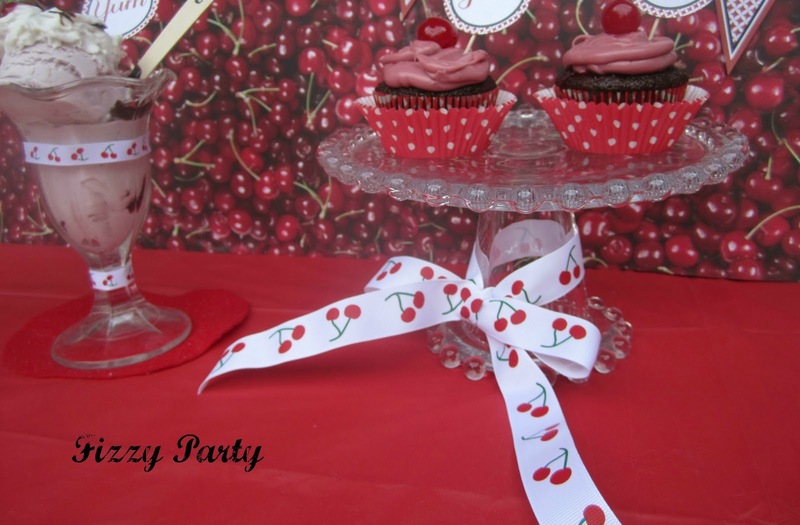 This week I'm high lighting the wonderful vendors I got the pleasure of working with on my mini cherry party. Ribbon is so versatile and a staple in every party girls craft room. 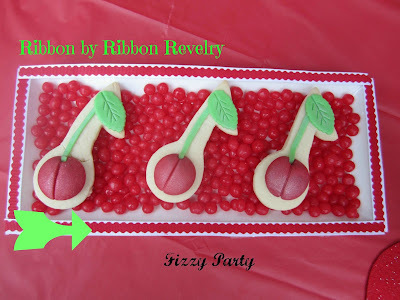 There are so many uses for ribbon and Ribbon Reverly has ribbon for just about any party or occasion you can think of. Best part is, she's local for me. So you know I have to support a local small business. I used her gorgeous cherry ribbon to make the banner. It's thick and has a wonderful feel to it. And adds a POP to the banner. Ribbon is great for dressing up plain white serving pieces. You can create so many different looks. Looking forward to checking out her holiday ribbons. 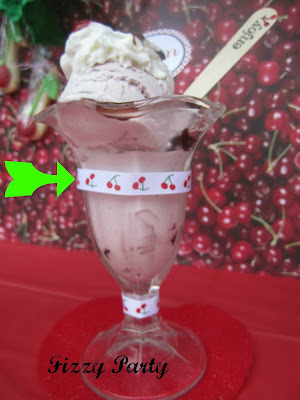 This mini cherry ribbon added just the detail I needed to my sundae glasses. I loved working with all the ribbon. Chelsea was easy to work with, had fast service and has such a variety of ribbon to choose from. 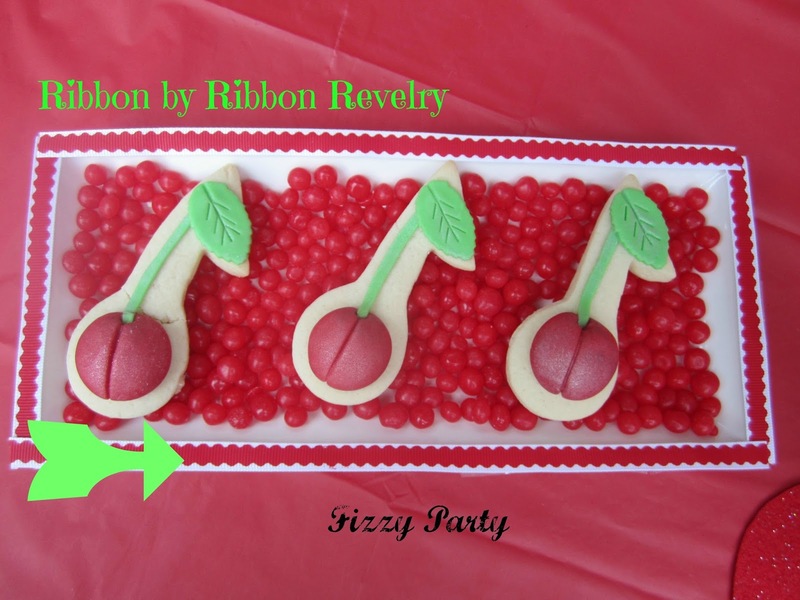 Have you used Ribbon Revelry? Tell me all about it.